If you have been involved in an auto accident but were not wearing a seatbelt, can you still file a personal injury claim? The impact that this might have on your claim depends on the state you live in. 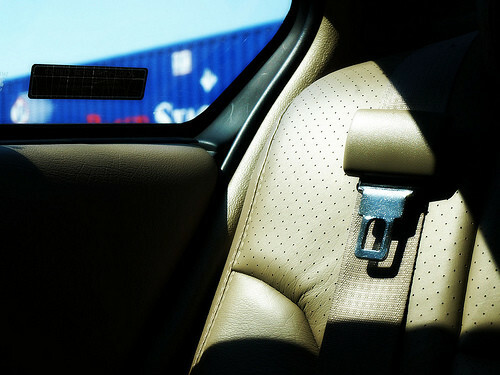 About 16 states allow a “seat belt defense” which can negatively impact a plaintiff’s case. In situations where the seat belt defense is used, the amount of money that you can recover may be significantly reduced if you were not wearing a seat belt. Even if a claimant mistakenly failed to fully click the belt into place and then got into an accident that was in no way his or her fault, the amount of damages that can be recovered may still be less. In personal injury accidents, in order to decide what damages or monetary compensation should be awarded, liability must be determined. The seat belt defense supposes that those who choose not to wear a seat belt share some responsibility for their injuries or for contributing to the seriousness of their injuries, even if they are not at fault for causing the accident. For instance, if a driver is rear ended and sustains injuries as a result, that driver might seek compensation for those injuries, and in order to do so will need to demonstrate that liability lies with the other driver. But a judge, jury, or insurance adjuster will take into account whether or not the accident victim was wearing a seat belt at the time of the accident, when they are in the process of determining a damage or injury award. The seat belt defense has a punitive impact on injured drivers who choose not to wear seat belts in those jurisdictions that participate in having a seat belt defense and injured drivers will receive a reduced damage award. While this may seem unfair and is definitely controversial, because wearing a seat belt is required by law and the law is in place to keep people safe, many argue those who violate this law should have repercussions. Does Missouri employ the seat belt defense? Missouri is a state where the seat belt defense does apply and a plaintiff’s ability to receive damages can be reduced to recovery for compensation of injuries that would have occurred had they been wearing a seat belt. The seat belt defense applies to drivers who seek damages following a car accident, but also to drivers who seek compensation for injuries they may have sustained. Seat belt use is mandated, yet many states choose not to adopt the seat belt defense. In these states that operate using comparative negligence principles, introducing evidence that references a victim’s choice not to wear a seat belt is not allowed. There are also some states that do use the seat belt defense but also limit the percentage reduction that can be applied to damage claims. If you have been injured in a Missouri auto accident, contact a St. Louis car accident lawyeras soon as possible. If another driver’s negligent actions caused the accident, you may still be able to recover compensation even if you were not wearing a seat belt, but this amount could be reduced. To schedule a free and private consultation, contact the St. Louis Car Accident Lawyers at The Hoffmann Law Firm by calling (314) 361-4242 or by filling out our online contact form.